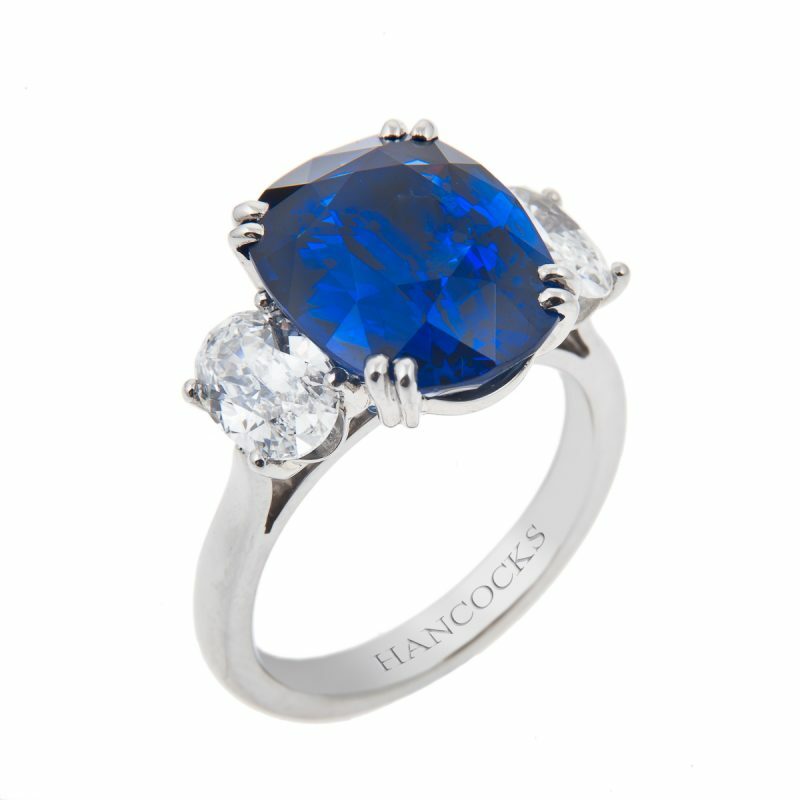 Sapphire, the jewel of Queens and Empresses, reflecting regal integrity and truth. 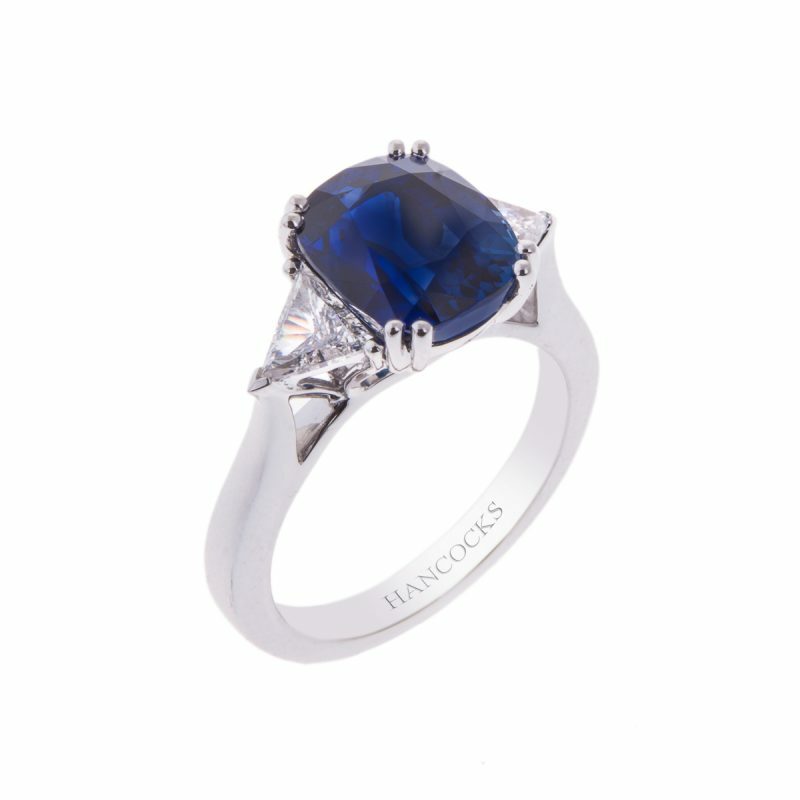 This superb cushion cut sapphire displays innumerable dancing cornflower blue lights from its facets. 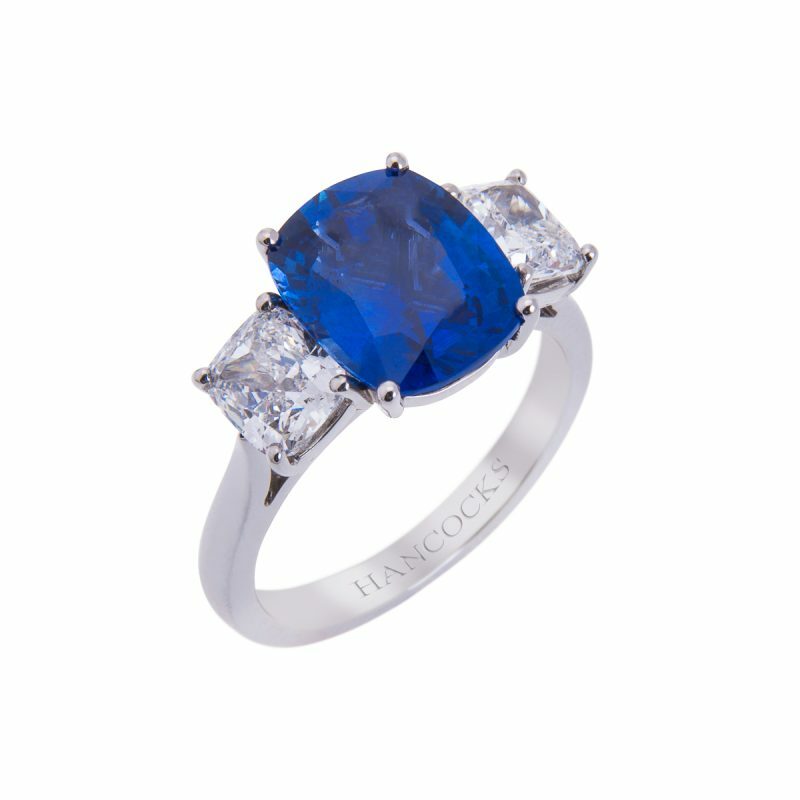 Its rich, velvet quality catches the admiring eye. 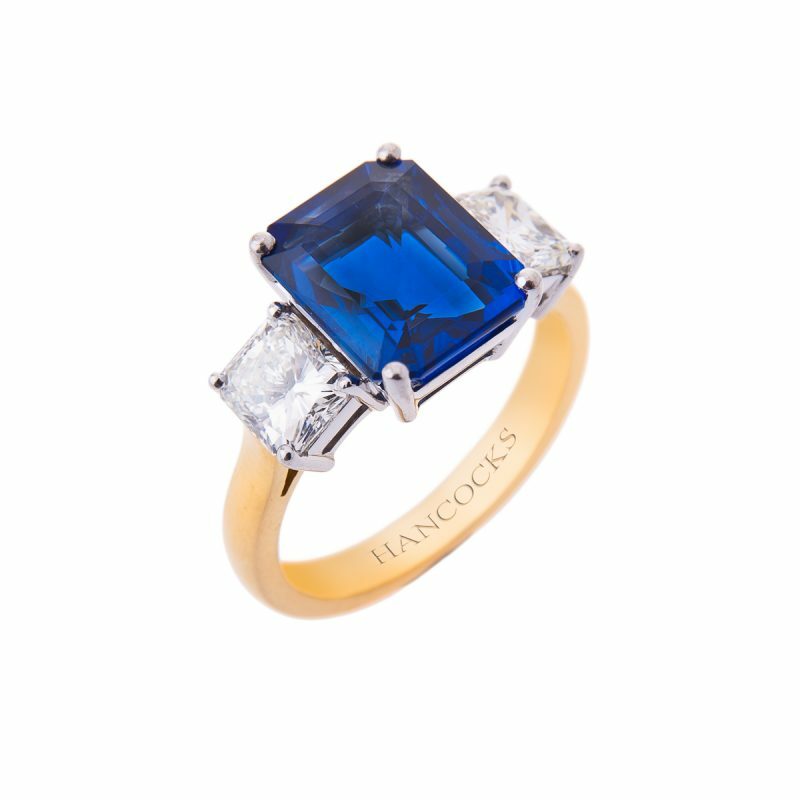 A stone of such beauty merits the finest of platinum settings, 2 curving claws safely secure the gem, whilst single glittering trillian cut diamonds shoulders guard the sapphire. 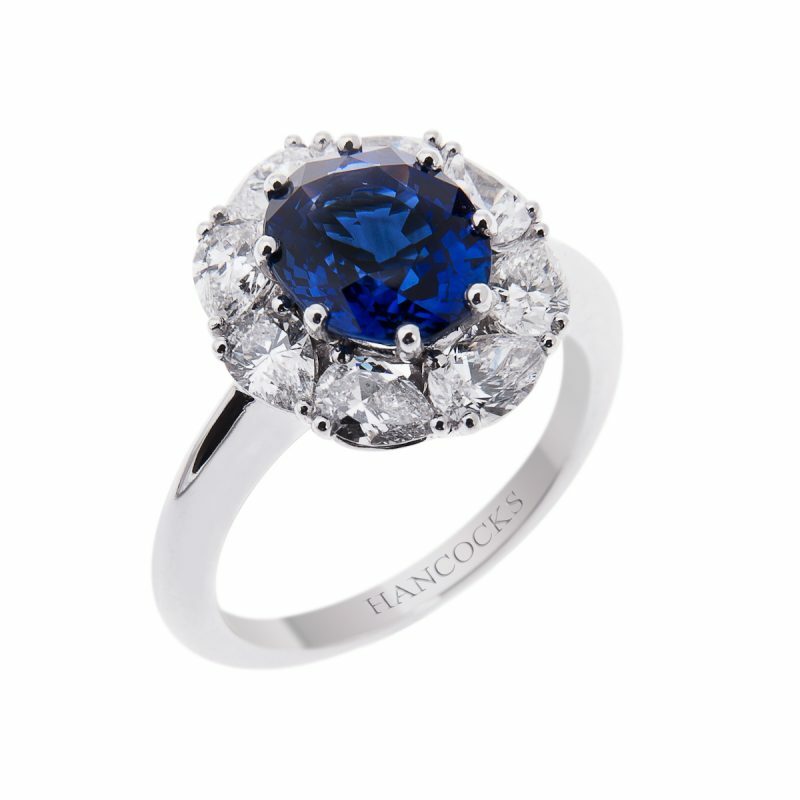 This masterpiece of the jewellers art has become a ring that will create its own legend.